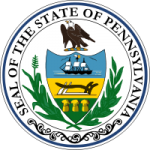 In Pennsylvania, the child support laws fall under the rules of civil procedure. They set forth the parameters and conditions for issuing child support orders. In addition, the laws provide guidelines for calculating the amount of child support owed and provisions for enforcement of child support orders including income withholding and attachment of property. In addition, the laws provide for the conditions and circumstances to modify an existing order.